When setting up a water management plan (WMP) in LAMPS, simply selecting “Hospital/Surgery Center/Clinic” or “Nursing Home” from a dropdown menu gives you policies and procedures specific to your facility type. You can then customize the content per your facility’s water systems and your preferences. 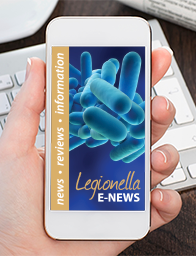 We understand you need to reduce the risk of Legionella and other pathogens and comply with CMS — on a very tight budget. LAMPS gives you much more than a WMP document. If all you have is a document, you will have to figure out how to train your personnel to carry out the procedures, where to keep documentation records for easy access, and how to report your progress and performance to your administration. Updating a document can be time consuming, too, especially if several people provide input and make changes. If you oversee multiple hospitals, it’s even more complicated. LAMPS gives you a WMP and helps you implement it. You get everything you need, all in one place, with tools that make training, updating, record keeping, analytics, and reporting easy — at no extra charge. You can even export routine procedures from LAMPS to an MS Excel file from which you can import to your facility management work order software. If you oversee multiple hospitals, you can keep your policies consistent among them, reducing legal risk. You’ll see all the site names in one dashboard, with a “Quick Verification Status Report” of each hospital’s compliance. You can set up a WMP on your own in LAMPS, but we recommend hiring one of our authorized WMP Partners to do it for you.